A brain bleed is a severe brain injury that must be taken very seriously. For a newborn, a subgaleal hemorrhage – a brain bleed that occurs outside the baby’s skull and inside the scalp – is one of the most serious. The amount of blood that can be held in this area is alarming, so subgaleal hemorrhage must be diagnosed and treated as quickly as possible. The most common cause of a subgaleal hemorrhage is vacuum extraction during delivery. Wrongful or improper use of a vacuum extractor by your doctor is not something to be taken lightly. If this occurs, your doctor needs to diagnose any problems, including a subgaleal hemorrhage, right away. Additional causes include forceps use during labor and/or delivery. When vacuum extractors and forceps are used during delivery, the medical staff understands that the baby must be closely monitored. There are specific tests that the hospital must to do definitively diagnose and begin treatment. Signs that must be measured include red blood cell count, the baby’s vital signs, and head size. The doctors and nurses must continually be checking these numbers, as well as watching for blood clots. A CT or MRI will be necessary to find the brain bleed and rule out other head-related conditions. When a subgaleal hemorrhage birth injury is not diagnosed ASAP, it could prove deadly to your baby. Treatment is quite aggressive, as the amount of blood your baby could lose is traumatic. Parents want the very best for their children. 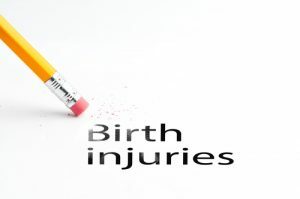 When a birth injury that could have been avoided occurs, it’s important to be aware of potential future complications. Due to the shock a baby experiences when the doctor mismanages this condition, many problems can arise. Improperly managed brain bleeds lead to seizures, brain damage, jaundice, cerebral palsy, developmental delays, and even death. As a parent, you should never have to see your child be in pain, especially so early on in life. If your baby has suffered from a subgaleal hemorrhage birth injury, you and your child may be entitled to monetary compensation. Thurswell Law will fight for the monetary compensation you and your baby are entitled to. Call us at 248-354-2222 for your free consultation. No fee unless you collect money!